Valerie Maxwell, centre director at Sue Ryder Dee View Court. The director of Scotland’s only specialist neurological centre has spoken of the “desperate need” to provide more help for people with conditions such Huntington’s disease, MND and stroke patients. 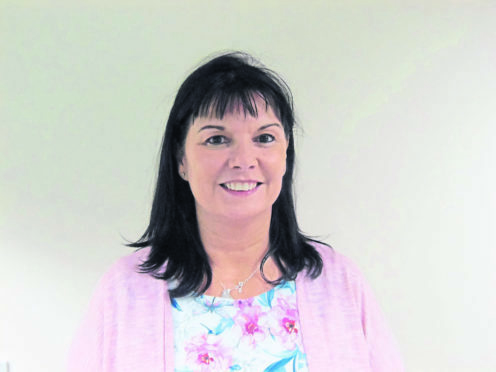 Valerie Maxwell, who is based at Sue Ryder Dee View Court in Aberdeen, has urged the Scottish Government to offer “meaningful investment and support on the ground”. Following the publication of the organisation’s Rewrite the Future report on the provision of neurological care last September, the Scottish Government committed itself to developing the first ever national action plan. This is due to be published for consultation within weeks and Mrs Maxwell said it was crucial the issue was properly financed. She added: “There is a desperate need for much more and better, coordinated care and support for people with neurological conditions living at home. “The impact of a neurological condition is often devastating: it turns people’s lives upside down and impacts on every aspect of everyday living. “Our health and social care system needs to be set up to support people who find themselves in this position. “If you have a neurological condition, you should consistently be provided with ways to help manage your condition, know where to turn for advice and support when you’re worried or something changes and you should have access to regular respite care, so carers don’t get burnt out. Dee View Court is currently in the process of being expanded – and has raised £2.3million of its £3.9million target – and Mrs Maxwell said its importance could not be overstated. She said: “We asked the people who call Dee View Court their home how living in the care centre impacts on their lives. “They told us living there allows them to receive the specialist care they need whilst being supported to live their lives in the way they want. “They have more independence and are at the heart of decisions about their care, what they want to achieve, and the way they want to live their lives. Everything is designed around the person, not their condition.